It’s always been a challenge to find shoes that comfortably fit my wide foot, but when it comes to finding heels, it’s nearly impossible. I’ve always resorted to ankle straps or various other designs to keep a shoe in place on my foot as I walk, but recently I came up with a new idea. This January, a friend and I decided to sign up for a course at Seattle’s Burlesque Studio. Brave enough only to dip a toe in the water, we decided the “How to Walk in High Heels” class would be a not-too-intimidating entry point. We spent the evening with 9 ladies (and one gent) learning to step, sashay, and sass in the highest heels I’d ever worn in my life! Part of the class included helpful tips on how to move in high heels in a way better for the body, and how to give pre-heel-wearing and post-heel-wearing care for hard-working feet, so wearing heels could be less pain and more fun! Also part of the course was a myriad of “tips and tricks” on wearing heels from heel wearing pros. Among the supports, guards, cushions, and insoles someone mentioned stuffing the toes of their shoes in order to prevent the inevitable heel slippage as a foot slowly smashed its way down into the toebox (the section of the shoe that supports and frames your toes). Given that the heels I wore to class took considerable smashing to even get my foot in the shoe, I was totally shocked that after 15 minutes of walking, the heel began slipping. After I got home, I decided to nab some supplies from my needle felting supplies and I created a possible solution I was excited to try. The next day, I eagerly placed my tiny buffers into the toe of an adorable pair of moccasin flats I’d purchased but never been able to wear due to heel slippage, and immediately discovered I was- finally– able to wear these flats without my heel slipping. Now they are one of my favorite pairs of shoes and I wear them all over with confidence that they fit and don’t slip. 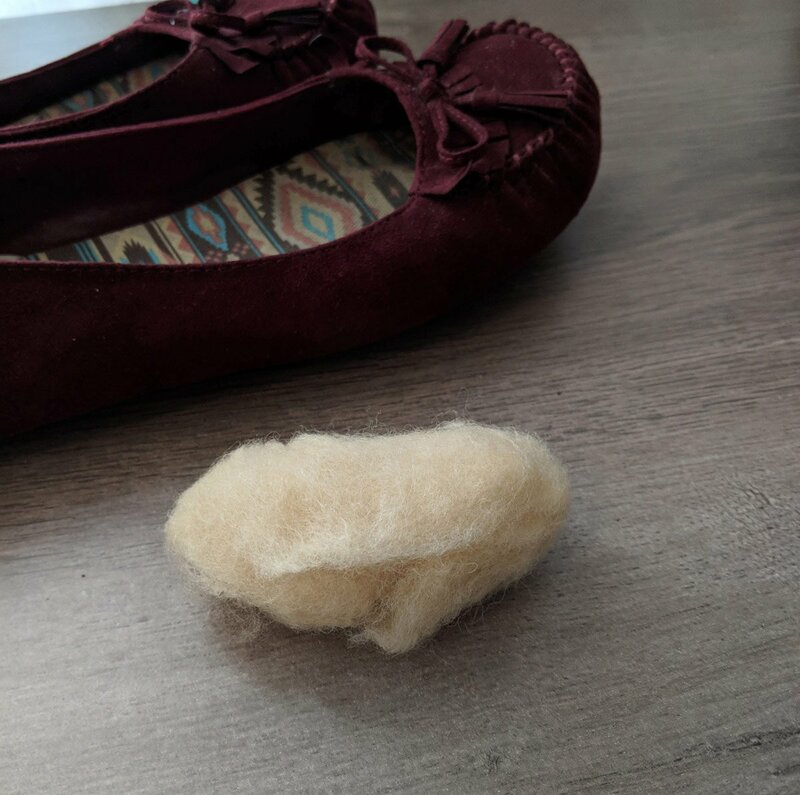 Don’t use cotton or synthetics- the trick is using wool because it breathes, conforms to your foot, and felts into place like part of the shoe. Once you have gathered supplies, tease the wool roving apart into two equal bundles, and bundle the fiber around itself so it’s a bit self-contained. 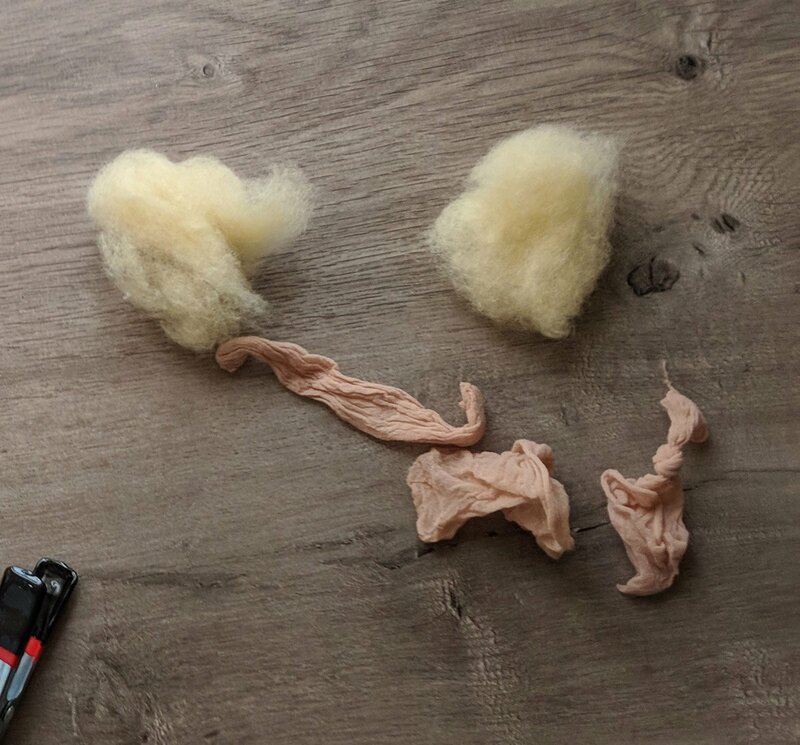 Then, treat the felt-pantyhose bundle like a tiny sausage and pinch the ends, give them a half-turn or so, and fold the edges inward. What you’ll have at this point is a little bundle with one smooth side- that’s the side that will be oriented to face your toes, while the actual toe of the shoe will keep the edges securely in place. Simply press the little wool bumper into the toe of your shoe, making sure the folded edges face the front of the shoe. 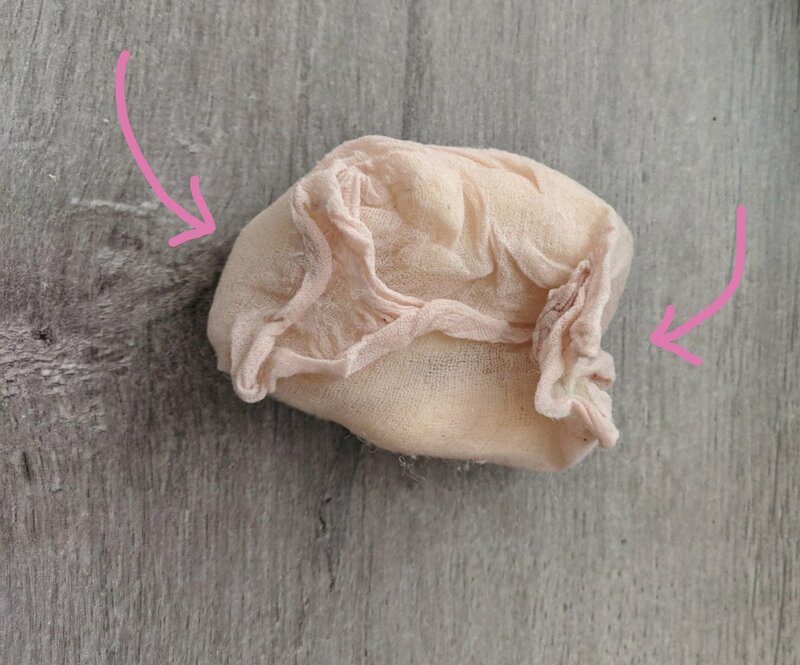 You might need to add fiber or remove a bit to get the perfect fit (it’s best to overestimate because the fiber will compress a little) but this trick is a quick way to fix shoes that are otherwise impossible to wear due to heel slipping.